After scheduling a grand total of ten phones back in August for indefinite Android Pie updates “starting this fall”, Motorola got the ball rolling somewhat surprisingly last month with the mid-range One Power, shortly followed by the even humbler non-Power One, as well as last year’s Moto X4. None of these three devices got the chance however to leave Oreo behind in the US, as the Motorola One Power is not officially sold stateside yet, while the other two official Android 9.0 rollouts started in different regions, slowly expanding over the past couple of weeks. The time has finally come for US-based owners of both the Motorola One and Moto X4 to get over-the-air Pie goodies, according to PhoneDog, although as always, patience is advised. It may still take a few days or even weeks for the love to spread nationwide, but it’s certainly nice to see these updates happening in a relatively timely manner. Bizarrely enough, the higher-end Moto Z3, Z3 Play, and even Z2 Force Edition are kept waiting, most likely due to their use of less “vanilla” software with more proprietary “optimizations” and tweaks in place. While we don’t have US-specific Moto X4 and Motorola One changelogs to share with you at the moment, you’re probably looking at largely the same UI revisions, performance improvements, and feature add-ons as everywhere else. We’re talking more intuitive navigation, longer battery life (at least in theory), enhanced multitasking, Adaptive Brightness functionality, simplified volume controls, a redesigned Quick Settings menu, an easier way to manage notifications, and of course, newer security patches. The Motorola One is still arguably overpriced in the US, at $399.99, with a notched 5.9-inch display in tow, a Snapdragon 625 processor, 4GB RAM, dual 13 + 2MP rear-facing cameras, and a modest 3,000 mAh battery. 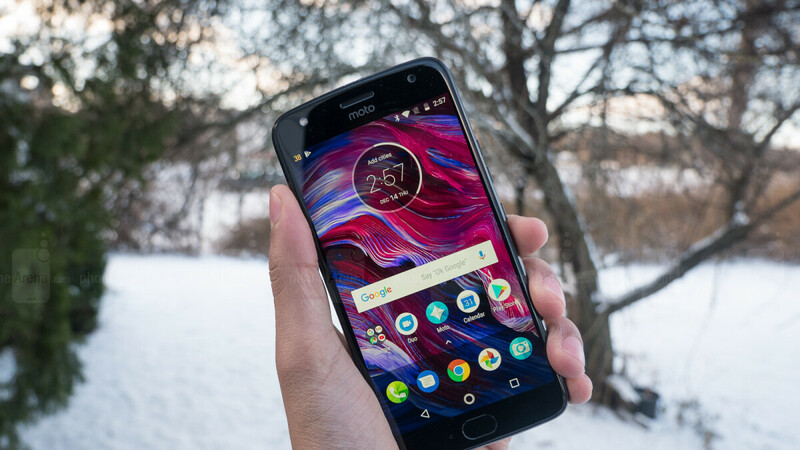 The Moto X4, meanwhile, is a pretty solid bargain, what with its shiny glass back, “conventional” 5.2-inch screen, IP68 water-resistant body, Snapdragon 630 SoC, 12 + 8MP rear shooters, 16MP front-facing cam, and 3,000 mAh battery.